One King West ARE YOU A VENDOR? 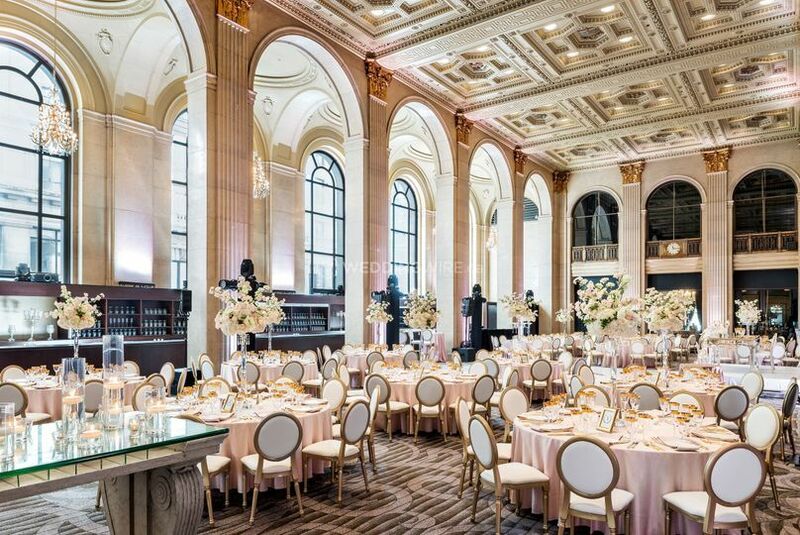 One King West Hotel & Residence is a superior hotel wedding venue that offers sophistication and luxury while maintaining its original architecture and historic feel. 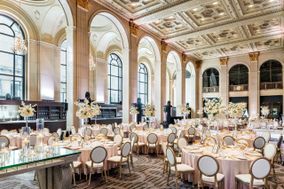 This Toronto-based venue is housed in what was once the grandious Dominion Bank building, and now offers the contemporary refinement of a luxury hotel with full amenities for your special event. 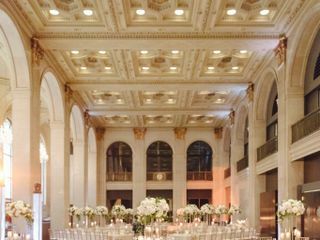 Grand Banking Hall, which seats 300 guests with a dance floor or 500 guests for a stand up reception style. Austin Gallery, is their mid-sized room which can seat 100 guests with a dance floor or 300 standing up. 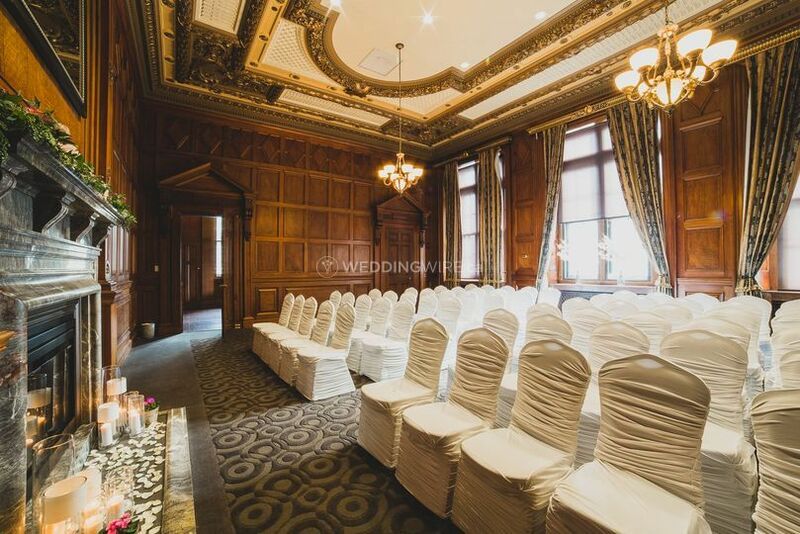 Chairman's Boardroom, is great for smaller weddings and seats 50 guests including a dance floor or 80 guests standing up. 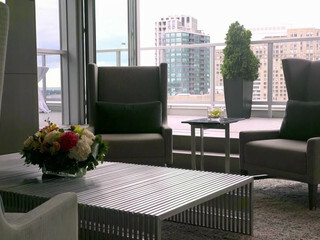 Fifteen Hundred Event Suite, great for smaller urban and modern weddings and seats 40/50 guests or 80 guests standing up. 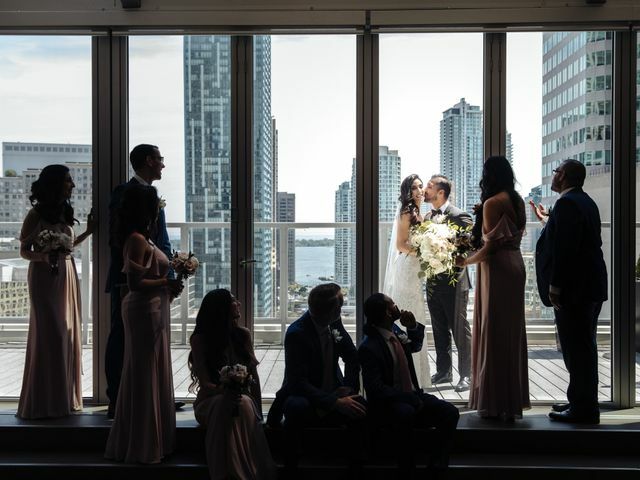 Our wedding at One King West was a fantastic experience! 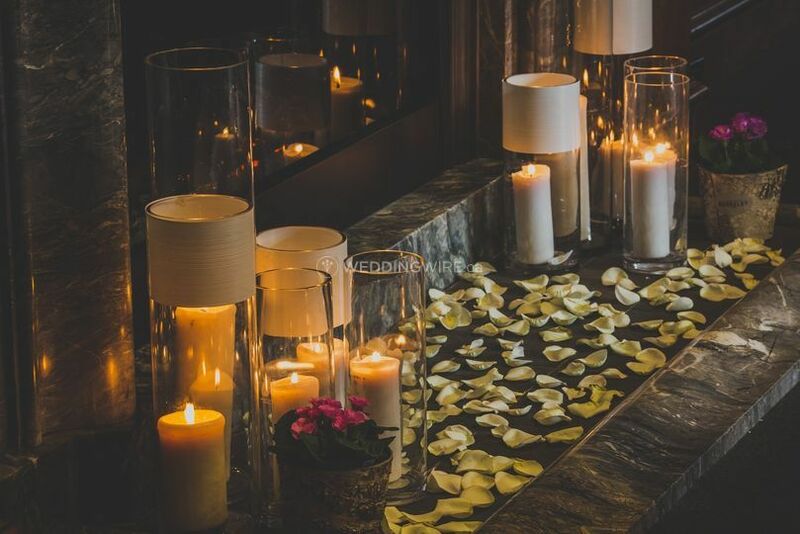 From the initial site visit to the end of the wedding day, everything was thoroughly organized and every detailed was executed perfectly. 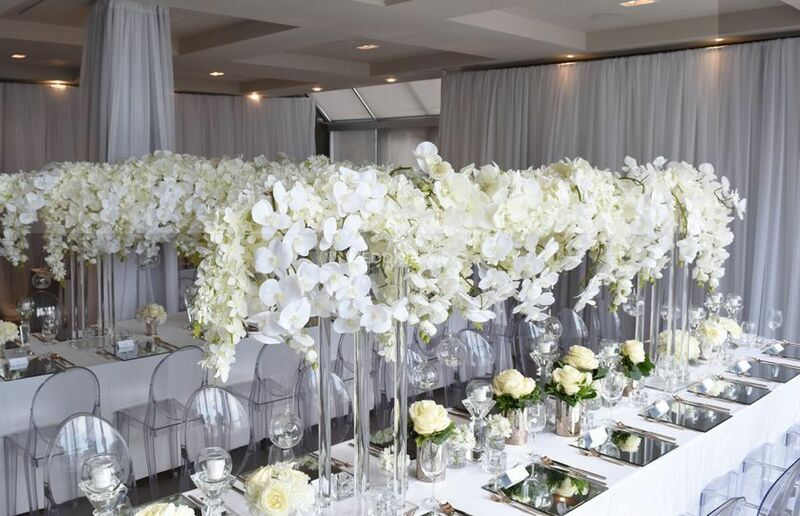 One King West staff, particularly our wedding coordinator Angela, were quick to respond to our various inquiries and were a tremendous help throughout the wedding planning process. 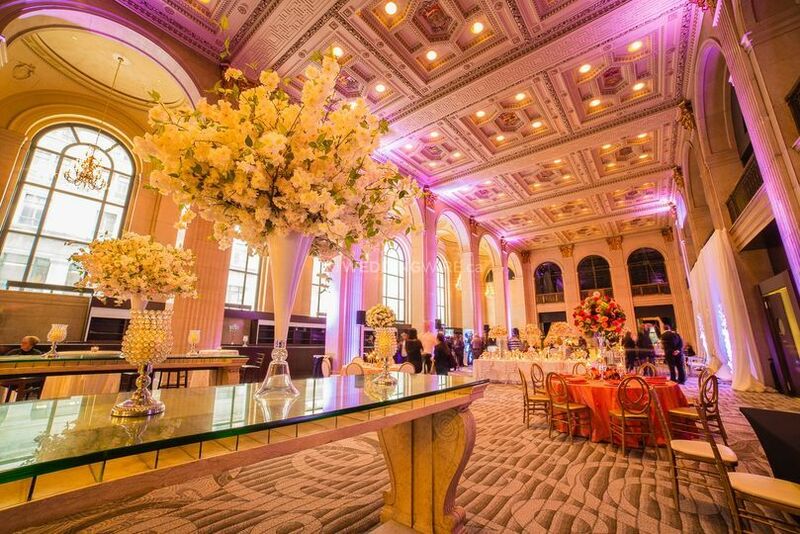 We received numerous compliments on the beautiful ceremony and reception spaces and the quick dinner service. I would HIGHLY recommend this venue to anyone planning a wedding! I got married at OKW this month and am so happy to have chosen this wedding venue. Aileen and her team did a phenomenal job on (and leading up to) my wedding day. Aileen tended to every detail and was able to carry out all my requests without exception. She was flexible in customizing my wedding package to meet our needs, and was in regular communication with me, to ensure that all my expectations were met. 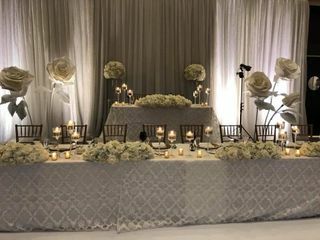 My guests are still commenting on the food (from hors d'oeuvres to late night food station), the drinks (delicious signature cocktail and house wine), and the elegance of the venue. Thank you One King West! 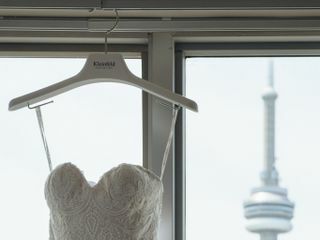 Thank you so much for your feedback from yours and Steve’s One King West Wedding. It was a pleasure to work with you both; from our first meeting and all the way to the day-after to ensure your dreams became reality. It's especially great to know how much you and your guests enjoyed Executive Chef Sevilla's delicious dishes. Him and his team have worked hard to perfect each plate and it's always rewarding to hear that their efforts have been recognized and appreciated! We hope to have you back in the near future to take part in more of your life's celebrations and milestones! 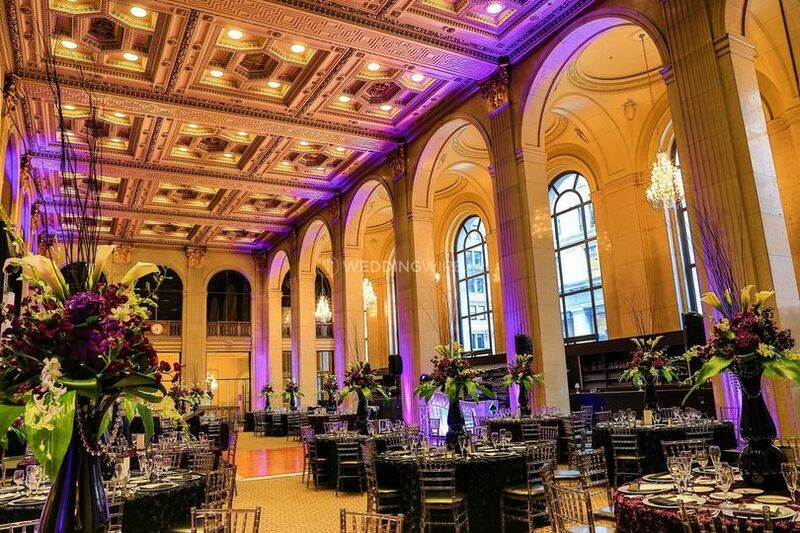 The Most Gorgeous Venue with the Best Food! 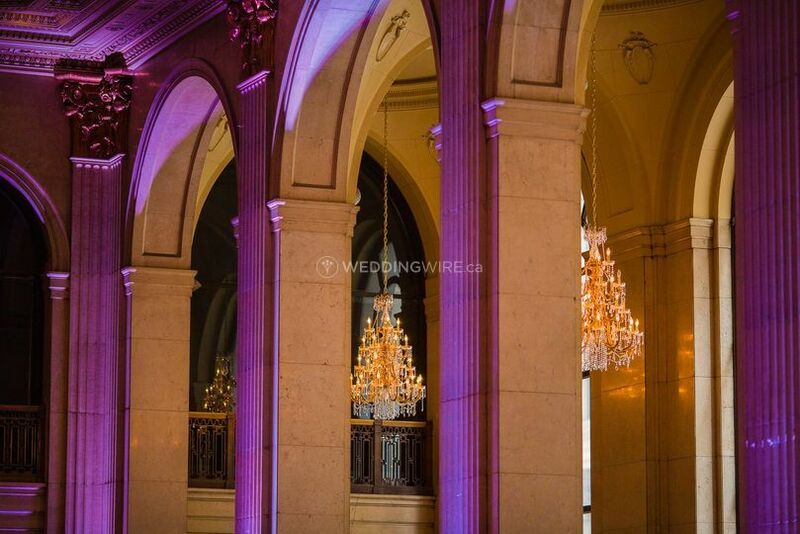 When we stepped into the Grand Banking Hall, we knew that One King West was the venue for us. Absolutely stunning and grand. 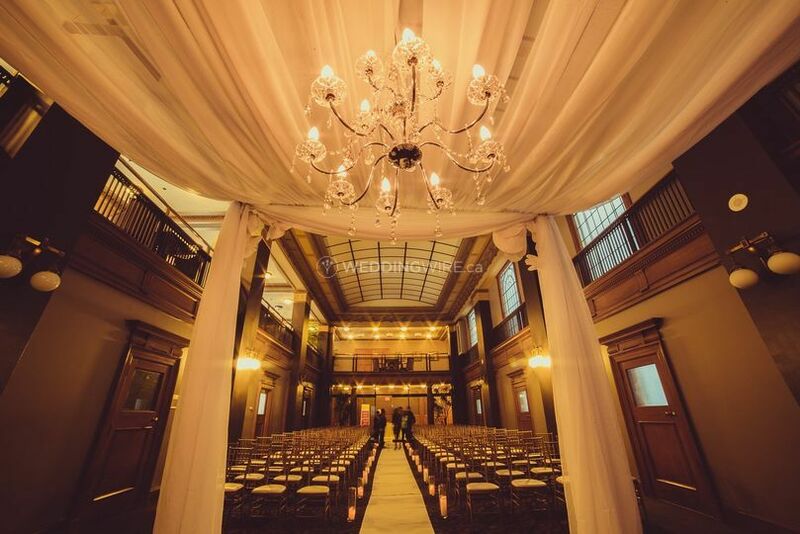 We toured all the other ballrooms in Toronto, but nothing came close to the beauty of 1KW. We got married a month ago and we are still receiving compliments on the food and the venue. Everyone has told us that this is the best food they have ever had at a wedding. The steaks were done perfectly and the salmon and chicken were fantastic. What made everything better was our venue coordinator, Aileen Manta from 1Kw. She was so attentive, helpful and so wonderful to work with. She made sure everything was absolutely perfect and was extremely supportive. We could not be more thankful to her and everyone at the venue. Every person we dealt with-from the hotel staff to the bartenders and executive chef, was fabulous. And we cannot thank Aileen enough for everything she did for us. If 1KW is on your list of venues to see, go see it! It is more than everything we even hoped for. If photo locations are important to you as well, 1KW is amazing. Our sneak peek of photos in the vault/staircase/manager's boardroom are so fabulous. So many different locations with such a royal feeling. Thank you to everyone there. Our wedding was gorgeous. If you want any other info, feel free to message me and I can share our wedding video so you can see the venue all done up and recommend vendors. We hope the newlywed life is treating you and Ryan well! 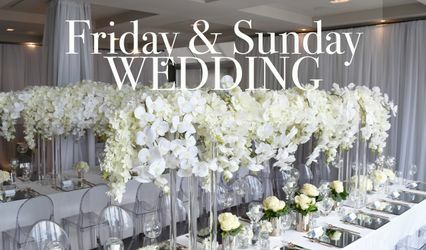 We would like to thank you for taking the time to provide your feedback from your spectacular wedding day. It was such a special celebration and we are so pleased that everything came together just as you imagined. 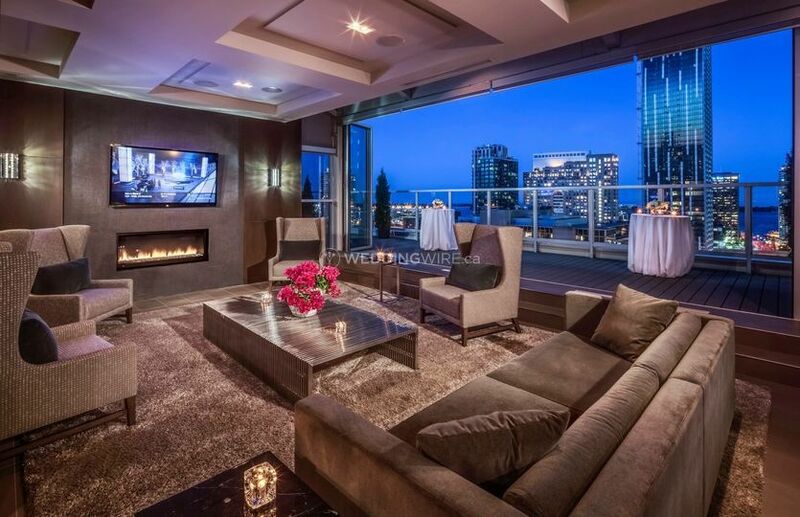 Every member of our team works hard to ensure each couple's unique vision comes to life in the most seamless and stress-free way and it's great to know that we met your standards. 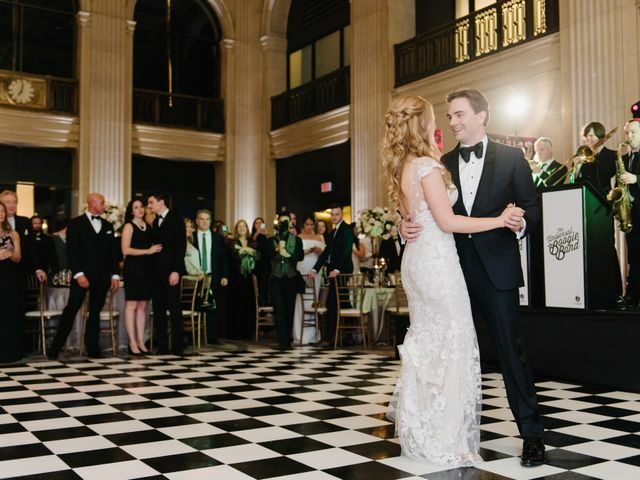 The historic Grand Banking Hall is quite extraordinary and it’s great to know how big of a part it played in providing you with the wedding you’ve always dreamed of! 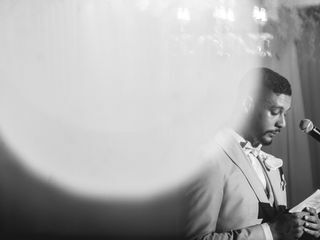 We look forward to seeing the special moments captured on your wedding day. 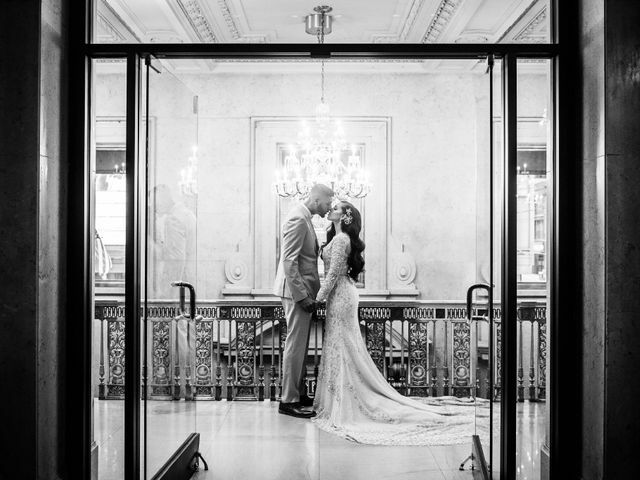 We planned our wedding in 2 months and all the smooth planning wouldn’t have been possible without the help of One King West’s wedding specialists, Anam and Angela. They responded quickly to all our questions and were gracious to all of our requests. On the day of the wedding, they delivered as promised. Food was impeccable and the staff were attentive and responsive. They even returned a couple envelopes that were found on the floor and immediately looked for the grooms lost jacket as soon as we notified them (which we late discovered was taken by our groomsman). Joseph, our wedding coordinator, ensured that everything was perfect. He went above and beyond our expectations in every possible way. 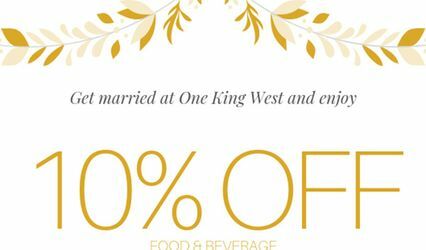 We highly recommend One King West Hotel. We can’t thank them enough for making our special day so incredibly perfect! Everything was absolutely perfect! I had so many questions and Vanessa was always quick to answer and incredibly helpful. She provided me with recommendations for a photographer, floral and hair/makeup which ultimately made the day that much more perfect. 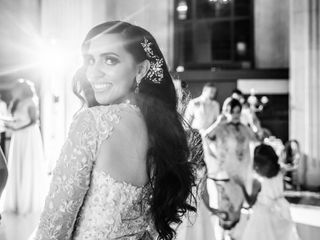 One King West is such a beautiful and classic venue it perfectly captured my vision and allowed me to feel like a princess for the day. To top it all off the food, the drinks and the service were perfect and everything was so easy. All we had to do was show up and didn't have to worry about anything. Once everything was done and we were back in our hotel room there was a card, sparkling wine and chocolate covered strawberries waiting for us which ultimately just made a perfect day that much more perfect. Vanessa made our little 25 person wedding feel just as special and important as a 300 person wedding! 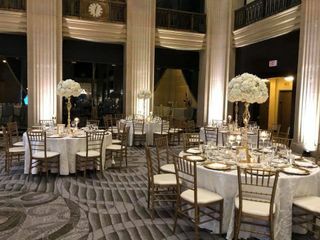 Thank you so much for kind words and for choosing One King West as your wedding venue for your intimate celebration. We are thrilled to hear that your experience from start to finish was made easy and enjoyable with the help of Vanessa. 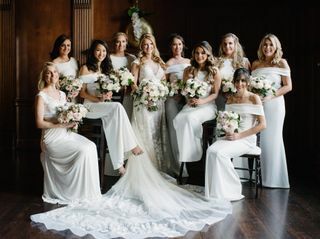 Vanessa is an expert at executing couple's needs and executing their every dream to ensure a memorable day and it's great that her efforts have been recognized and appreciated. 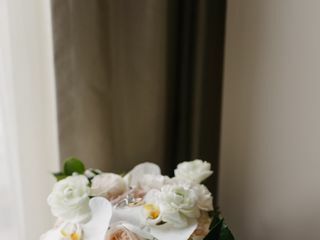 It is gratifying to know that every detail, from the food, to the venue and service came together seamlessly, making certain that you could focus on the important moments of your wedding. Thank you again and we wish you all the happiness in the world.